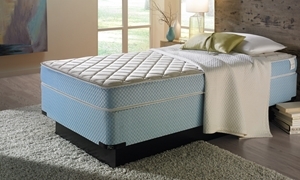 AirCool™ gel memory foam offers conforming comfort, temperature control and pressure relief for this twin-size bed in a box. 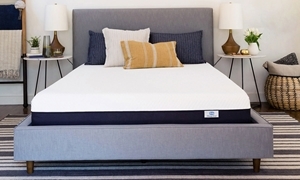 Gel-infused memory foam delivers cool, conforming comfort and pressure relief beneath the soft knit cover of this firm twin mattress. 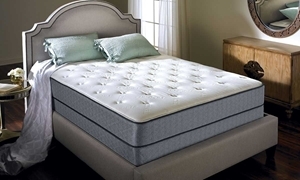 Twin mattress with individually wrapped coils for firm support beneath air flow and gel memory foams and an eco-friendly Tencel cover. 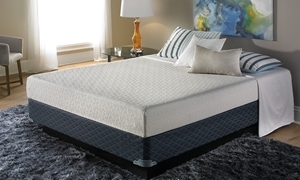 American-made full mattress features a VertiCoil® system for dynamic, firm support beneath comfort layers and a designer knit quilt. Haynes has been helping families in Virginia furnish their homes for generations. So we understand what it means for everyone to get a good night's sleep. We're proud to provide a variety of twin size mattresses from plush to firm to fit the needs of a child, teenager or adult. A twin size and it's price might be small, but at Haynes Furniture, we guarantee big comfort.